Dr. Hossain is a public health researcher with multi-disciplinary experiences covering academia and industry for 18 years. For last seven years he has been focusing on thalassemia prevention, childhood obesity and cancer epidemiology in Bangladesh. He did PhD in Molecular Biology from National University of Singapore and Postdoctoral Research Fellow at DUKE-NUS Graduate Medical School and National Cancer Centre Singapore. With over a decade of training in world-class research facilities in Singapore, he returned to Bangladesh and served in various capacities including Head and Senior Manager (R&D) at Biotech plant in a renowned pharmaceutical industry, and Assistant Professor of Microbiology at BRAC University. Currently, he is serving as Head of Environmental Management, Independent University, Bangladesh (IUB). He has also experience in working in a community based centre at International Centre for Diarrhoeal Disease Research, Bangladesh (ICDDR’B). He has co-authored publications in high-impact journals such as Oncogene, Cell Report, Stem Cell Report, JBC, Plos Neglected Tropical Diseases, Orphanet Journal of Rare Diseases, Journal of Virology, Biology of Reproduction and BMC Cancer. Throughout his career, Dr. Hossain received several prestigious scholarships and awards including Junior Research Fellowship (postgraduate) from Temasek Life Sciences Laboratory (TLL), Singapore to conduct research on white spot syndrome virus (WSSV), a devastating shrimp virus found in Asia. Recently, he was awarded Endeavour Executive Fellow (2018) by Australian Government to work on childhood obesity at Early Start, University of Wollongong. 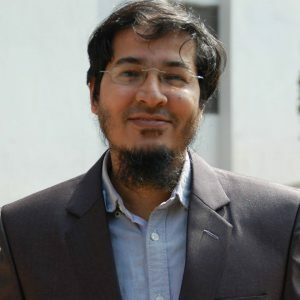 Dr. Hossain is an Editor of Scientific Bangladesh, an online based platforms for sharing expertise and inspire Bangladeshi researchers around the globe about issues such as performance of research organizations and universities, science policy, commercialization, and intellectual property rights. He also manages online platforms dedicated to biomedical research and cancer awareness in Bangladesh. A Bangladesh based collaborative research platform, Biomedical Research Foundation (BRF) is the brainchild of Dr. Hossain. BRF is capitalizing a unique concept, utilizing the underutilized resources’ to address public health issues in the context of a resource-limited developing country. His work on thalassemia has triggered national policy in Bangladesh. Inspired by BRF’s unique concept, Dr. Hossain engaged a large team of 111 volunteer researchers affiliated with 34 institutes (including 22 universities from all over Bangladesh) to study a devastating chikungunya outbreak (2017) in Dhaka. This project was initiated from sickbed during the peak of chikungunya outbreak through Facebook as a means of communication tool when Dr. Hossain was suffering from chikungunya. He is highly dedicated on community-based research efforts to solve public health related problems in Bangladesh. Recently, Dr. Hossain has been appointed as Honorary Principal Fellow at University of Wollongong, Australia to facilitate collaborative research on childhood obesity and physical activity.